A Memphis based janitorial staff can be a large contributor to your ISO certifications and six sigma continuous improvement plans. Our cleaning processes can contribute to your ISO 9000 family of standards for quality management system. ISO 9000 is maintained by ISO, the International Organization for Standardization and is administered by accreditation and certification bodies. The rules are updated, as the requirements motivate changes over time so our cleaning services may need to be modified over a period of time. You can monitor cleaning processes to ensure they are effective, keeping adequate records of cleaning protocols. 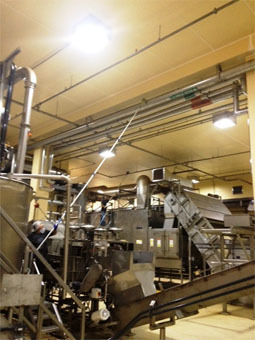 You can check cleaning processes for defects and with appropriate and corrective action where necessary, regularly reviewing individual cleaning processes and the quality of the cleaning system itself for effectiveness This helps facilitate continual improvement in our industrial cleaning process customized to your company needs. In addition to factory warehouse cleaning, assembly area cleaning and manufacturing space, we consider the totality of the industrial facility in our cleaning plan. Restroom cleaning programs need to address cleanliness and odor control. Industrial offices need to be cleaned to avoid contamination. Factory break rooms need to be cleaned. 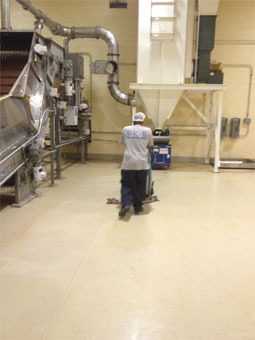 The exterior factory or warehouse areas need to be cleaned as well.